The integrated electronic health record initiative, known as the Plummer Project, has been in the works for more than three years, spans 90 hospitals and clinics and cost more than $1.5 billion. With a proverbial flip of the switch at three locations in Florida and Arizona, Mayo Clinic has completed its $1.5 billion Epic electronic health record implementation, linking all Mayo sites on an integrated EHR and revenue cycle management system. The Mayo Clinic rollout, called the Plummer Project, in honor of Henry Plummer, MD, who developed a patient-centered health record at Mayo in 1907, is one of the largest, most complex and most expensive Epic implementations ever. First announced in early 2015, the initiative, which sought to replace the health system's existing Cerner and GE systems, had been under consideration for years, said Mayo Clinic CIO Cris Ross. "We really believe that an integrated EHR, across all of our organizations, can help us with that core mission of meeting patients' needs," he told Healthcare IT News at the time. Ross predicted then that rollout would take "about four years to complete." Given that the first two-dozen sites went live in Juy 2017, it's coming in ahead of schedule. There were several milestones along the way, notably go-lives at Mayo Clinic Health System in in November 2017 and Mayo Clinic in Rochester this past May. All told, the project depended on the expertise of nearly 500 IT staff. Now, some 52,000 Mayo employees are using Epic across 90 hospitals and clinics in the Minnesota, Florida and Arizona. "The project is highly complex due to the number of specialties and subspecialties involved," said Ross in another interview earlier this year. "We are not only focused on building and delivering a converged technical solution. We are also invested in the people side of change to support them in adopting, utilizing, and becoming proficient in the Epic system. This is being accomplished through a comprehensive change management strategy." 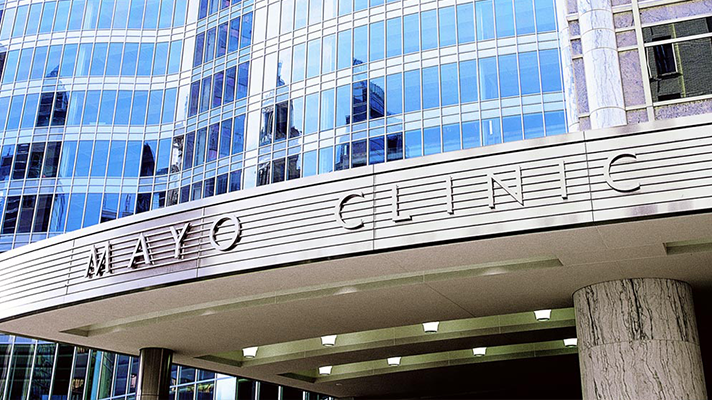 Mayo Clinic says the complexity and expense of the project were worthwhile investment for a single unified system that connects patients and providers across the health system, enabling easier access to clinical and billing information regardless of location. More and more, large U.S. health systems such as Mayo are gravitating toward either Epic and Cerner, and the same trend is now also playing out overseas. Other major Epic deals this year include Chicago-based Advocate Health Care and Trinity Health in Michigan. "Having one integrated system builds on our core mission of putting the needs of patients first,” says Steve Peters, MD, co-chair of the Plummer Project, in a statement. "This will enable us to enhance services, accelerate innovation and provide better care." "The commitment and expertise of outstanding Mayo staff, Epic colleagues and implementation partners brought us to this day," added co-chair Richard Gray, MD. "We envision even greater collaboration among experts in delivering the patient care, research and education that are hallmarks of Mayo."